Now that Spring has arrived, it’s time to get started on all of those exciting outdoor projects. One popular item that starts flying off lumber dealers’ shelves this time of year is tropical decking. 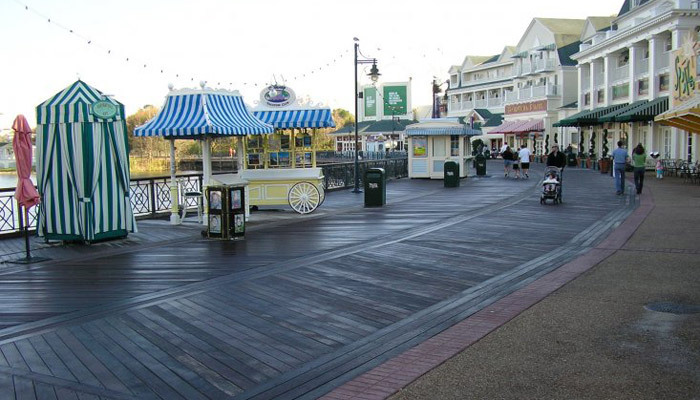 Whether you’re installing a residential deck or a commercial boardwalk, selecting a high-quality product can make a tremendous difference when it comes to long-term results. There are several options that work well for these types of outdoor applications. In this article, we’ll take a look at a couple of these choices. 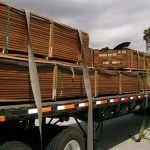 In the rest of the articles in the series, we’ll explore even more options so you’ll have a better overview of what the tropical decking market has to offer you. 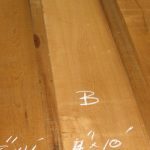 No two tropical hardwood species are exactly alike. Each of them has different strengths and weaknesses. Hopefully, after taking an in-depth look at their advantages and disadvantages, you’ll be able to figure out the one that will best suit your taste and your budget. Ipe truly is the king of tropical hardwoods when it comes to decking. Its strength and stability simply can’t be matched. 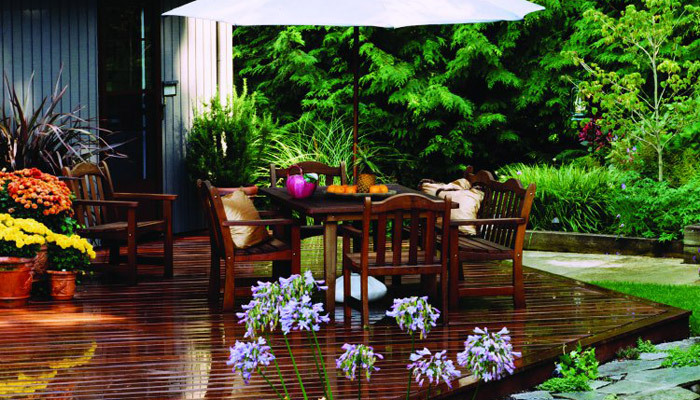 When it comes to withstanding the elements, Ipe is outstanding. 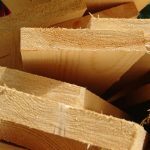 For uses outside, it doesn’t require drying so it can be used in a relatively short amount of time after the trees are harvested from the forest and processed in the mill. Whether you’re constructing a home exterior, boardwalk, or deck, this popular hardwood is an ideal choice. 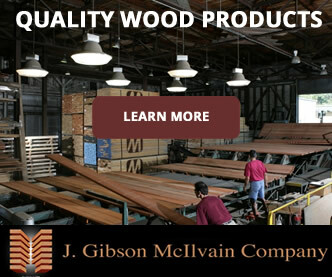 The only major downside to Ipe is that due to its quality, it tends to be high in price. The greater the demand, the more Ipe prices tend to skyrocket. Lumber dealers don’t see any sign of the trend of rising Ipe prices ending any time soon. Thankfully, if Ipe is cost-prohibitive, there are some viable alternatives you can consider. 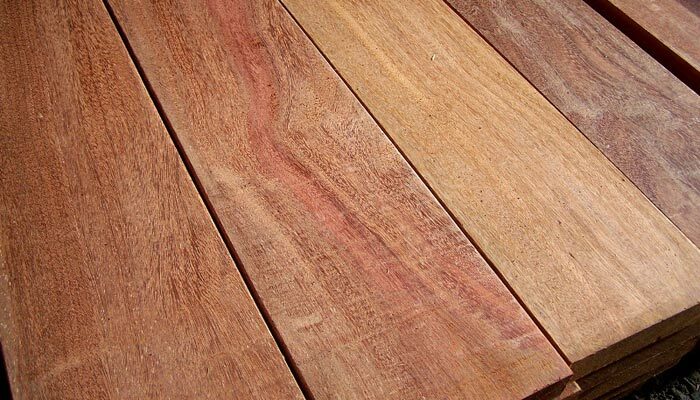 The one we’ll look at in this first article is a species called Cumaru, also known as Brazilian Teak. Cumaru is a great alternative to Ipe for those who want a similar look as Ipe but at a lower price. Similar to Ipe, Cumaru comes in rich red colors, as well as a yellow hue. You can select whichever one you prefer. It’s a hard, dense tropical hardwood that should be able to withstand the elements. Though not quite as hard as Ipe, it comes close. Another major perk is that it’s pretty easy to find. Lower demand means you can generally expect to find Cumaru at far lower prices. You can expect to pay a third less for quality Cumaru than you would normally pay for Ipe. There are a few problems that can crop up with Cumaru that you don’t have to worry about with Ipe. First, it has a tendency to shrink. 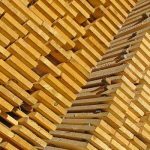 This can be mitigated through a strategic process of kiln drying. Dry climates may not be best for Cumaru as it could continue to shrink in these types of natural environments. 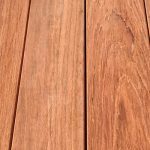 Cumaru is just one of several tropical hardwood decking options. In our next article in this series, we’ll take a closer look at several other exciting choices. • Do You Really Need Extra-Wide, Extra-Long Lumber Boards?